All published articles in BJSTR are assigned with a unique Digital Object Identifier (DOI) - CrossRef. ROAD (Directory of Open Access scholarly Resources | ISSN): ROAD is a service offered by the ISSN International Centre with the support of the Communication and Information Sector of UNESCO. Launched in December 2013, ROAD provides a free access to those ISSN bibliographic records which describe scholarly resources in Open Access: journals, monographic series, conference proceedings, academic repositories and scholarly blogs. These records, created by the ISSN Network (90 National Centres worldwide + the International Centre), are enriched by information extracted from indexing and abstracting databases, directories (DOAJ, Latindex, The Keepers registry) and journals indicators (Scopus). ICI World of Journals: The ICI World of Journals gathers information regarding scientific journals from various sources. Thus, they share comprehensive information regarding the scope of journals' activity, editorial offices and articles published by the scientific journals. International journals from all over the world may register in the ICI World of Journals - a dedicated system has been made available to manage the Journal's Passport. Research Bible: ResearchBib is a free academic database that indexes and provides open access to peer-reviewed journals, full text papers, research conferences & positions. Scilit: Scilitis a multidisciplinary, free scholarly database that indexes scientific material by extracting the latest data from CrossRef, PubMed and other sources on a daily basis. Publons: Publons is a website and free service for academics to track, verify and showcase their peer review and editorial contributions for academic journals. International Scientific Indexing: The ISI server provides indexing of major international journals and proceedings. Author can get information about international journal impact factor, proceedings (research papers) and information on upcoming events. All the journal pages have pointers to Web pages of the publishers which are integrated into the ISI stream pages. Researcher ID- Thomson & Reuters: ResearcherID is an identifying system for scientific authors. The system was introduced in January 2008 by Thomson Reuters. This unique identifier aims at solving the problem of author identification. In scientific literature it is common to cite name, surname, and initials of the authors of an article. Crossref: Crossref (formerly styled CrossRef) is an official Digital Object Identifier (DOI) Registration Agency of the International DOI Foundation. It is run by the Publishers International Linking Association Inc. (PILA) and was launched in early 2000 as a cooperative effort among publishers to enable persistent cross-publisher citation linking in online academic journals. ICMJE: The ICMJE recommendations (full title, Recommendations for the Conduct, Reporting, Editing, and Publication of Scholarly Work in Medical Journals) are a set of guidelines produced by the International Committee of Medical Journal Editors for standardising the ethics, preparation and formatting of manuscripts submitted for publication by biomedical journals. Compliance with the ICMJE Recommendations is required by most leading biomedical journals. OCLC- WorldCat: WorldCat is the world's largest network of library content and services. WorldCat libraries are dedicated to providing access to their resources on the Web, where most people start their search for information. Scribd: Scribd is a digital library, e-book and audiobook subscription service that includes one million titles. Scribd hosts 60 million documents on its open publishing platform. DRJI: The Directory of Research Journal Indexing (DRJI) is to increase the visibility and ease of use of open access scientific and scholarly journals thereby promoting their increased usage and impact. Google Scholar: Google Scholar: Google Scholar is a freely accessible web search engine that indexes the full text of scholarly literature across an array of publishing formats and disciplines. PlagScan Tool: PlagScan is a plagiarism detection software, mostly used by academic institutions.PlagScan supports four languages and hascustomers from all over the world. More than 1,500 organizations and 1,2 million students rely on our service. 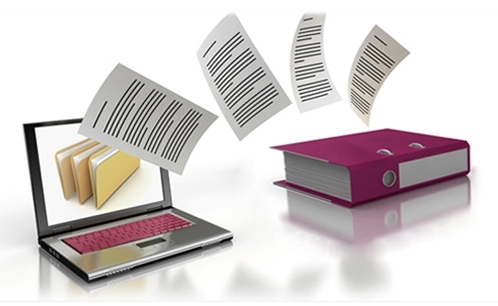 Cite Factor: Citefactor is a service that provides access to quality controlled Journals. The Directory indexing of journal aims to be comprehensive and cover all scientific and scholarly journals that use an appropriate quality control system, and it will not be limited to particular languages or subject areas. ORCID: ORCID provides a persistent digital identifier that distinguishes one from every other researcher and, through integration in key research workflows such as manuscript and grant submission, supports automated linkages between you and your professional activities ensuring that the work is recognized. Scientific Indexing Services (SIS): Scientific Indexing Services (SIS) was founded by renowned scientists. A group of 70 scientist from various countries in different disciplines are started SIS with specific objective of providing quality information to the researcher. SIS offering academic database services to researcher. 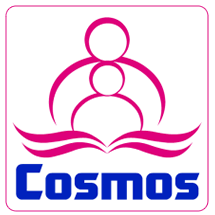 Cosmos: Cosmos provides Quantitative and Qualitative tool for ranking, evaluating and categorizing the Journals for academic evaluation and excellence. This Factor is used for evaluating the prestige of Journals. The evaluation is carried out by considering the factors Like Paper Originality, Citation, Editorial Quality, and Regularity & International Presence.